Fina Trust MasterCard is a global brand now available at Fina Trust Microfinance Bank Ltd Bank. 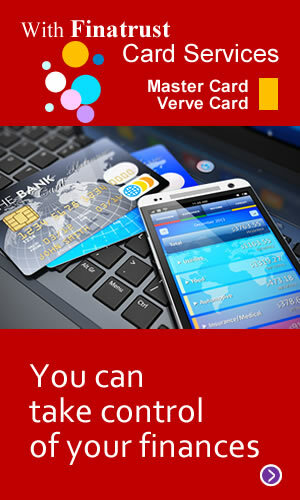 The Naira Debit MasterCard is a naira denominated card acceptable worldwide and directly linked to your current or savings account. Our Mastercard holders enjoy benefits such as global acceptability which allow them access to their funds in over 210 countries, withdraw cash in local currencies of their host countries from over 500,000 ATMs and pay for goods and services at over 40 million locations worldwide. Our Cards come with convenience and flexibility.